Attracting good people - and keeping them - is key to operating a successful company. 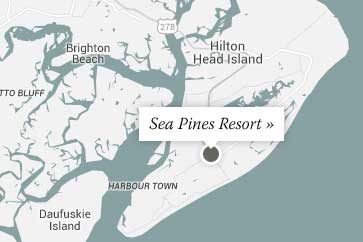 At The Sea Pines Resort, we strive to create an inclusive work environment and deliver an employee experience that attracts, retains and rewards a high-performing, diverse team of passionate employees. As a member of The Sea Pines Resort, you will be working with people who share your aspiration to perform at the highest level. This dedication to exceptional service is why the resort is known for providing the best possible experience for our guests and employees. Every employee at the resort plays an important role in helping us uphold our values and fulfill our mission. We recognize that achieving our goals requires the dedication, hard work and commitment of our entire staff. By espousing our high standards and living our mission statement, you serve as an example to your coworkers. At The Sea Pines Resort, we embrace a culture that celebrates diversity and divergent perspectives. We encourage our employees to achieve a healthy mix between work and home life and support their efforts to have a positive impact on their community.